Remi's life has been a typical teenager with her popular friend's life has been good. However, on her 18th birthday, everything is about to change and it's not just that she's turned into an adult. When things go horribly wrong at a party she learns that there is more to her than just a teenage girl. She's been cursed and to save her she's going to need to learn to use her reaper abilities. I've had this one on my wishlist for ages and decided to check out Cursed. 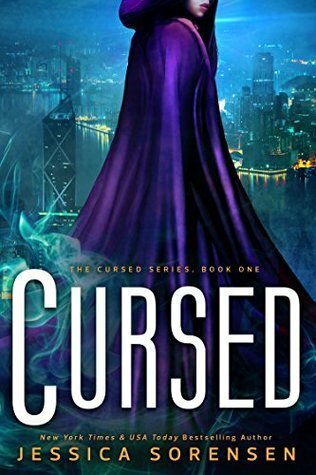 Cursed is a short and sweet fast paced action loaded story that captures the heart as well as the imagination. I really liked Remi she's sweet and handles being tossed into the supernatural world well. I found the concept interesting the idea that she was cursed and wakes up a superhero. I think if you have to be cursed the next best thing is being a paranormal superhero. I enjoyed Cursed it's not my first book by the author as I have read other books by her. I can't wait to finish off the series and see how it all plays out. This sounds super interesting. I love when authors play with the idea of curses. Going to have to check this one out, thanks for sharing!